Here's an ideal clipper for the high-volume shop. 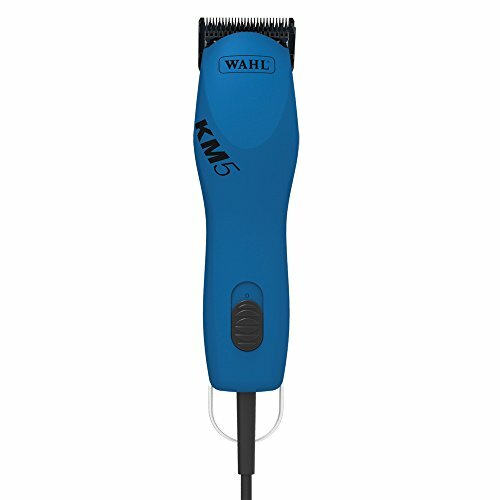 The Wahl KM5 Professional 2-Speed Clipper delivers advanced professional power, so it can handle full-body clips and withstand very high usage, and the efficiency of Constant Speed Control — built-in torque control that automatically delivers more power when clipping through mats and thick coats, making quick work of tough situations. Clipper made in Hungary, blade made in USA. • Lightweight design featuring low vibration, for superior control and all-day comfort • Crafted to meet the need for comfort and power required by professional groomers • Ergonomic hand piece with a slip-resistant grip is designed for comfort and reduced fatigue • No-maintenance rotary motor operates with constant speed control at 3,000 and 3,500 • Offers a smooth cutting ability that surpasses professional requirements Includes a #10 blade, oil, and instructions. Specifications: Motor Type: No-maintenance rotary Strokes Per Minute: 3,000/3,500 Hand piece with Blade: Weight 0.8 lbs. ; Length 7½" Cord Length: 14' Warranty: 2 years.